Ron Kirby and Associates of Knoxville Tennessee specializes in equipment tires and wheels for the material handling and construction industry. 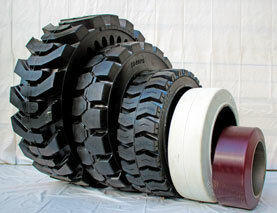 We stock a wide variety of skid-steer loader tires for your special needs. Whether your on pavement, dirt, metal, or gravel we have a tire for you. 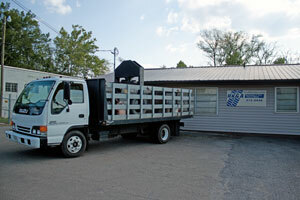 We offer a mobile service for on-site tire work to the East Tennessee region. Please read about our Services and Products to see what we can do for you or you can contact us with any questions.